In 2013, she was elected ordinary member of the Academia Europaea. Angela Ralli received her B.A., M.A. and Ph.D. in Linguistics from the University of Montreal, speaks fluently four languages (Greek, English, French, Italian) and has a research competence in Turkish, Spanish and German. Her main expertise area is theoretical morphology, particularly Greek morphology and its dialectal variation, and recently, she has developed a special interest in language-contact issues. She is mainly interested in the Asia Minor Dialects (Aivaliot, Pontic Cappadocian), which were affected by Turkish, and in those influenced by Italo-Romance (e.g. Grekanico (Greek of South Italy). Her work is highly praised internationally, is cited in many influential studies and deals with several issues of word formation, theoretical and applied, and the relation of morphological change and language contact. She has published 5 books, about 136 peer-review articles, has edited 18 collective volumes and, till now, has presented her work in 58 international conferences. She is the editor of Patras Working Papers in Linguistics, member of the editorial board of international journals (e.g. Word Structure), reviewer of many international journals (e.g. Lingua), publishing houses (e.g. Oxford University Press) and member of the evaluation committees of international conferences (e.g. Mediterranean Morphology Meeting). Angela Ralli is a leading scholar of international fame. She has been an invited professor at 39 European and American Universities, a keynote speaker in 31 international conferences, has taught a morphology class in 4 international summer schools, 3 in Greece and 1 in Italy, and has been awarded the Canadian Faculty Enrichment Award (1999), the Stanley J. Seeger Research Fellowship (Princeton University, 2012), and the VLAC Research Fellowship of the Belgian Royal Academy (2008, 2009 and 2014). She was/is the supervisor of several M.A theses and 19 Ph.D dissertations. Moreover, she was/is a member of the supervising committee of 10 Ph.Ds, as well as the external examiner of 10 Ph.Ds in Greece and abroad. 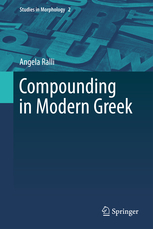 Angela Ralli has directed/directs 21 European and Greek projects on morphology and the Greek dialects, two of which, THALIS and ARISTEIA, have been evaluated first and second in Greece, respectively, in the field of Humanities, and participated/participates in 16 international projects, among which, those of Cambridge, CNR (Pisa) and University du Quebec Montreal). Last year, she received a Niarchos foundation (New York branch) grant to investigate and document the history and language of Greek immigrants in Canada, in collaboration with colleagues from three Canadian Universities, McGill, York and Simon Fraser. 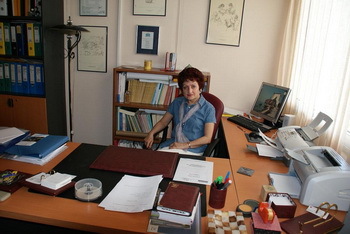 In 1997, Angela Ralli founded the Mediterranean Morphology Meeting (MMM, together with Geert Booij and Sergio Scalise), while in 2000, she founded the Laboratory/Centre of Modern Greek Dialects, the first in a Greek academic milieu, and began to organize the International Conference of Modern Greek Dialects and Linguistic Theory (MGDLT). The Laboratory, its publications and MGDLT (see full-size CV) have contributed to the revival of interest concerning dialectal research in Greece. Angela Ralli is particularly active in the field of preserving language heritage. In this framework, she has conducted research expeditions to South Italy, Pontus, Cappadocia, Cunda (former Moschonisi) and Aivali (today's Ayvalik) and has documented linguistic systems which are on the way to extinction. Her Laboratory of Modern Greek Dialects has now about 440 hours of dialectal oral corpora, organized in databases. 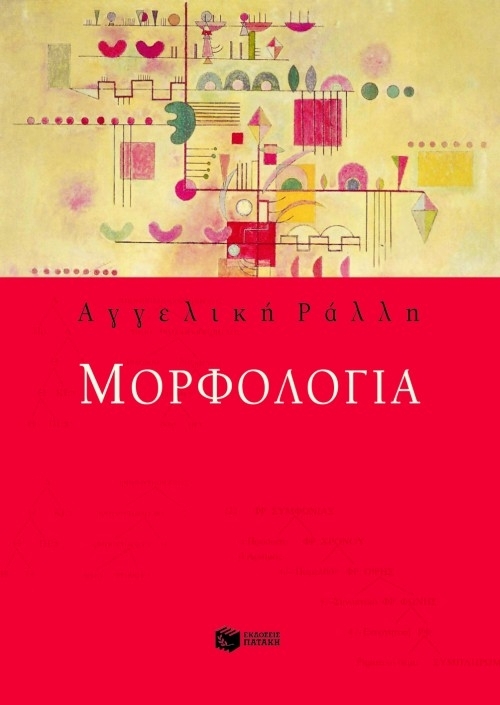 She has also edited and published unedited dialectal texts, the first linguistically-based dictionary of Lesbian, Moschonisiot and Aivaliot, and is currently building an electronic dialectal map for Lesbos, the first to be ever produced in Greece (www.lesvos.lmgd.philology.upatras.gr). Angela Ralli is very effective into achieving international collaborations. She has accomplished 32 Erasmus agreements with Universities from 12 European countries and Turkey and 2 cooperation agreements with Canadian Universities. Angela Ralli has studied Linguistics in Canada (Université de Montréal), and holds the titles Β.Α., Μ.Α. 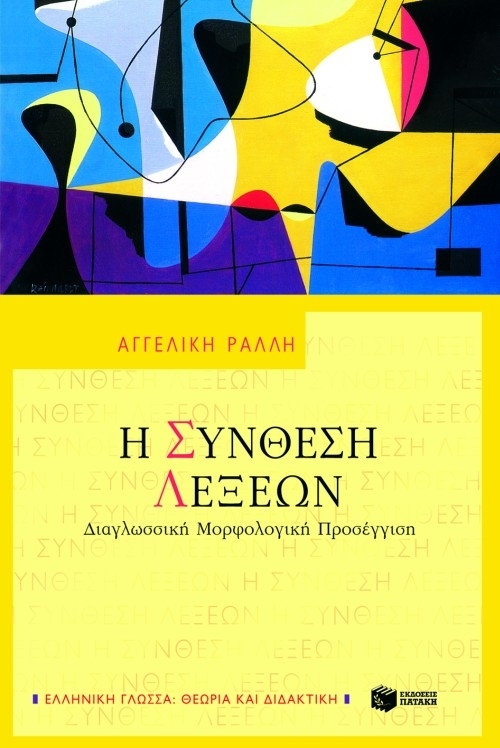 και Ph.D. in Linguistics. She has also studied language, literature and civilization in Italy (Perugia) and France (Grenoble). Graduate Studies Scholarship, Social Sciences and Humanities Research Council, Canada (1978, 1981, 1982). Beside Greek, Angela Ralli speaks fluently English, French and Italian. She has also a basic knowledge of German, Spanish, Russian and Turkish.